Why does the Church need saints? Can prayer bring you closer to God? Discuss that a pilgrimage is a holy journey to receive a spiritual gift. Before you enter the Center, gather your students and parents and pray that your pilgrimage will lead each person closer to Christ. Additional prayers can be found here. On a large piece of paper have the students write down their personal intentions. 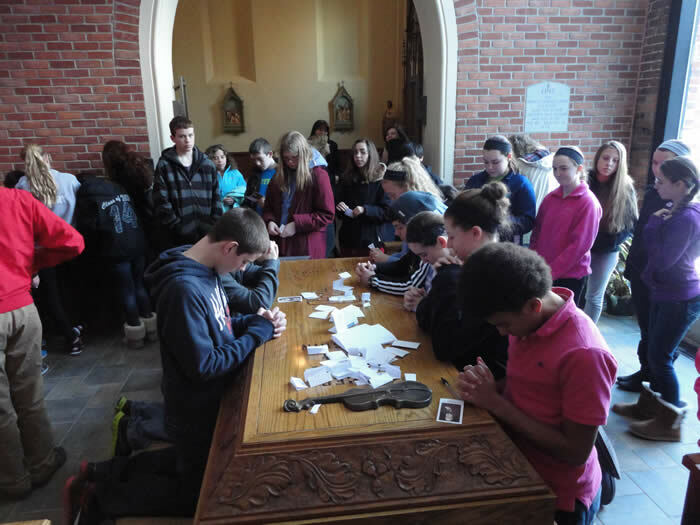 Bring that paper with you and place it on Blessed Solanus' tomb. You can gather as a class around the tomb and offer a prayer. Or...have each students write his/her personal intention on a small piece of paper and have the student place on the tomb. Additional activities for children.